If you’re looking to keep fit then one of the best ways that you can do this is through aerobic fitness exercises. These are effective because they work your heart and lungs that help to build your endurance and stamina. There are many aerobic exercises that you can choose from for example, popular ones are running, cycling and swimming. Not only does this type of exercise training keep you fit it also raises your metabolism levels which help you burn off those excess calories. On warm summers day nothing beats hitting the roads for a good running session. Getting close to nature and breathing in fresh clean air is not only good for the body it is also good for the heart and soul. However, there are days when it can be wet, cold and downright miserable. On days like these it is very hard to motivate yourself and go out for a run. You could go to the gym however, unless you go on a regular basis using it only when the sun doesn’t shine can be an expensive option. The other alternative would be to get your own electric treadmill. Many people think that spending $1200 to $2500 on a treadmill is a lot of money and they would be right. However, in the long term it will cost cheaper compared to paying expensive gym fees each month. Another advantage is that you will own the machine and you can use it any time you want even on those days when it is not practical to go outside. There are many brands of treadmills such as Nordic Track, Horizon and Proform, to name a few. 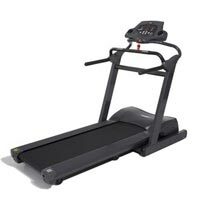 They sell treadmills in different price ranges from as low as $400 to the high end machines at $3500 and above. What you buy depends on what you are going to use it for. If you intend to use it every day for intensive workouts then you will need a treadmill that is well built and of sturdy construction. Alternatively, if you are going to use it occasionally for light workouts then you may want to opt for something like the Proform 350 treadmill which is a budget machine. When deciding to buy a treadmill be clear about how you will use it and what functions and features that you will actually need. Do your research to enable you to make a better informed decision.